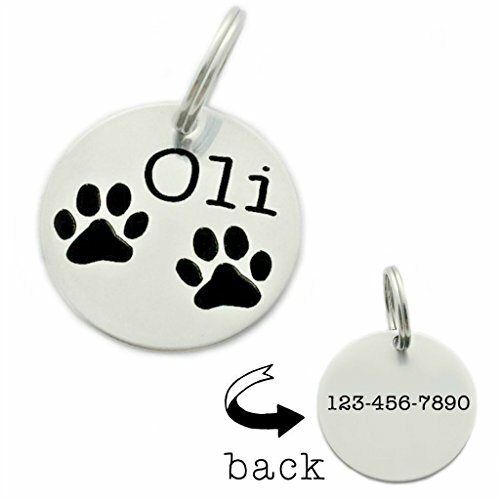 This pet tag is engraved on a 7/8" stainless steel tag. The tag can be engraved with a name (up to 10 characters) and a 10 digit phone number. The tag will be sent with a 12mm stainless steel split key ring to attach to your dogs collar. If you have any questions about this product by Oaklee Mae, contact us by completing and submitting the form below. If you are looking for a specif part number, please include it with your message.